The 2 biggest export names of design and fashion from Sweden are still H&M and IKEA. But one could say that design is in the DNA of the country, looking at the number of young designers popping up like mushrooms. 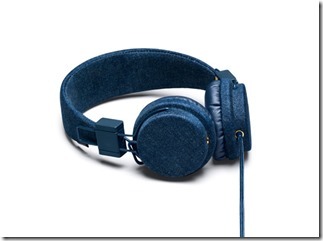 Latest design update: the denim headphones of Stockholm-based headset brand Urbanears. How cool are these! “Less is more” accurately describes much of Swedish fashion. There’s a fondness for discreet colors and a pared-down, refined appearance. Filippa K and COS fit that profile perfectly. But Sweden also produced several hip denim brands like Acne and Cheap Monday. The list of cool brands just goes on and on, adding labels like V Ave Shoe Repair and J. Lindeberg. 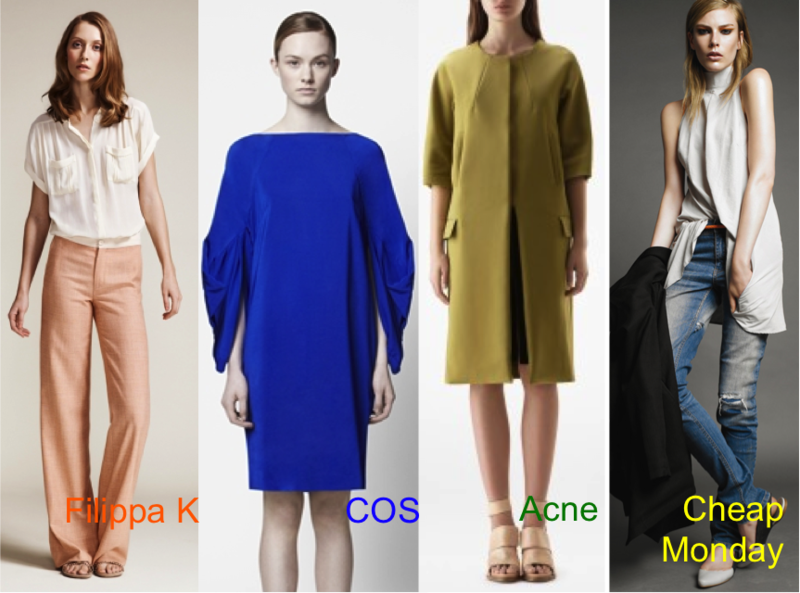 One label that seems a bit “odd” in this list is Odd Molly, because the collections are very romantic and colorful. The Swedes are also active in the shoe department. Sarah Jessica Parker put the brand Swedish Hasbeens on the map last year . Kate Bosworth practically lives in her Acne booties and has followers like Miranda Kerr and Keira Knightley. The downside of Swedish fashion (and then I am not talking about H&M), are the price tags. But then you have to understand that most of these designers are working with quality fabrics and produce in their country, instead of mass production in India or China. I can understand that Swedish fashion is not everybody’s cup of tea, but it can definitely upgrade your basics wardrobe. It cannot be compared to anything coming from the big Spanish, English or American retail brands. If you want to know more about Swedish fashion & design, check this blog. This entry was posted in Fashion and tagged Acne, Cheap Monday, Cos, Filippa K, Odd Molly, Swedish design, Swedish Fashion, Urbanears by sofischoice. Bookmark the permalink.